£100.00 Non Refundable deposit required at time of booking. Payments accepted by Bank Transfer. Balance is due 4 weeks before arrival. If booking less than 4 weeks in advance then full payment is required at time of booking. All payments are non Refundable. From the 1st June 2018 Silver-sands are now charging £10 per Adult for facility pass, you will pay this fee direct to them at reception when you collect your keys. Lovely modern open plan living with sliding patio doors leading out to the decking, where you can chill out on the outdoor rattan L shaped sofa or dine at the rattan cubed table and chairs. 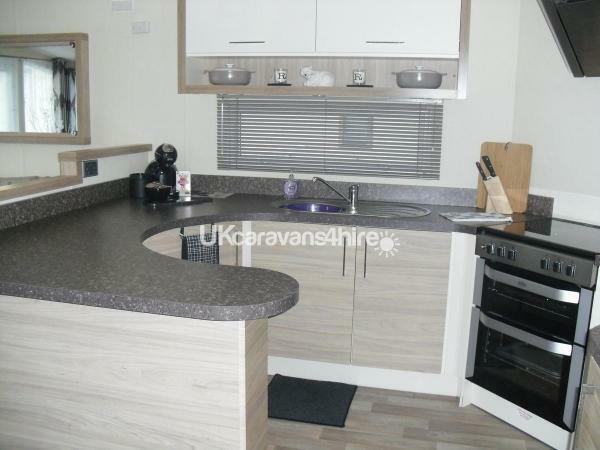 The kitchen is very spacious and has everything that you would need on a home from home holiday. The Master bedroom has a King size bed, walk in wardrobe with dressing table within and en suite.There is also a wall mounted TV with built in DVD player. 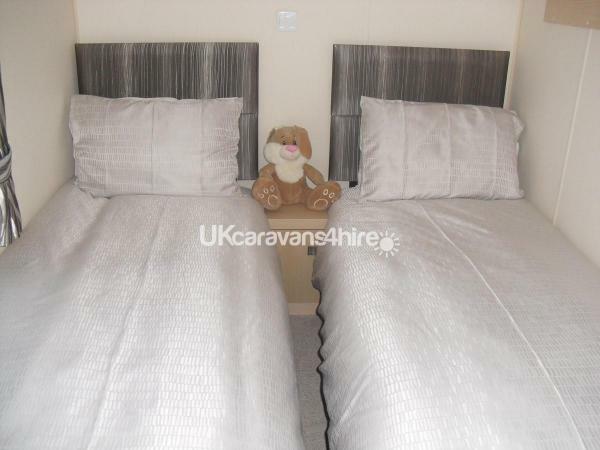 The twin bedroom has full size single beds (unusual in a caravan) and wardrobe. The main bathroom has a double shower. 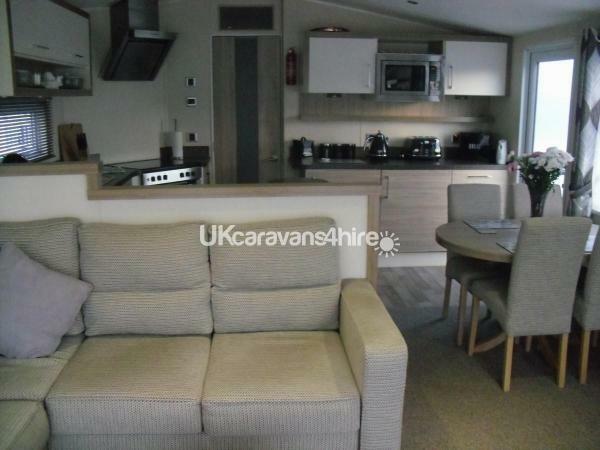 This caravan also benefits from double glazing and central heating through out. There is a standard size washing machine and separate tumble drier, so that you don't have to take your washing home with you. On the patio area there is a good size bar-b-q for alfresco dining. Bookings are Saturday-Saturday for 7 days in High Season 7 days is the minimum booking. in Low Season 3 days is the minimum booking. Check in time after 3pm and Check out time by 10am. Please note we do not supply towels. On the park is a small convenience shop however the CO-OP is only a 5min drive in Lossiemouth. the nearest town Elgin is only 6 miles away where you will find Asda and Tesco. 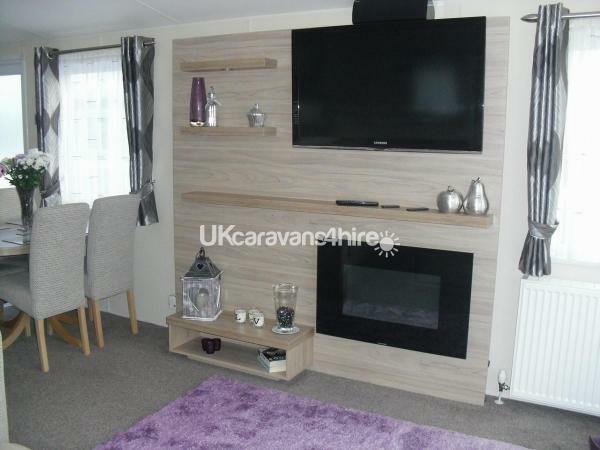 Beautifully presented caravan in immaculate condition. Situated in a quiet spot overlooking the lighthouse. Rosemary gave us a very warm welcome, would highly recommend ???? 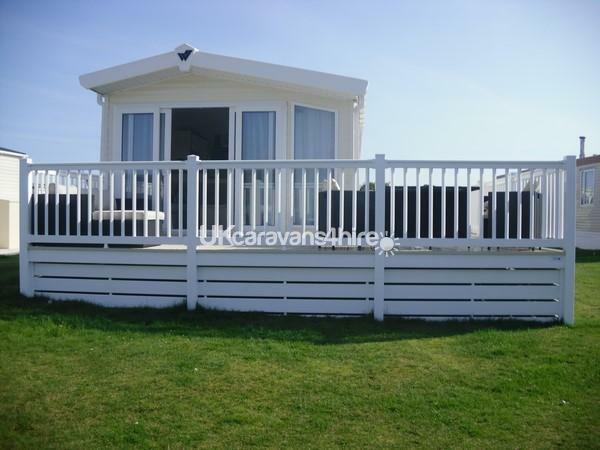 A beautiful caravan situated in a quiet spot looking towards the lighthouse. A very warm welcome from Rosemary who kindly showed us round her very clean and very modern caravan. We had a really good time and would highly recommend this to others. We would have no hesitation in booking again. 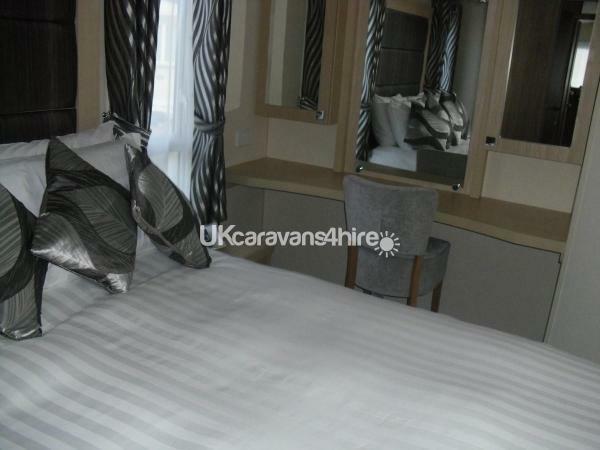 This is an amazing caravan, I can not rate this caravan highly enough! I have never stayed in such a luxury caravan. It is so clean through out the caravan and really is a home from home. Rosemary has thought of everything! 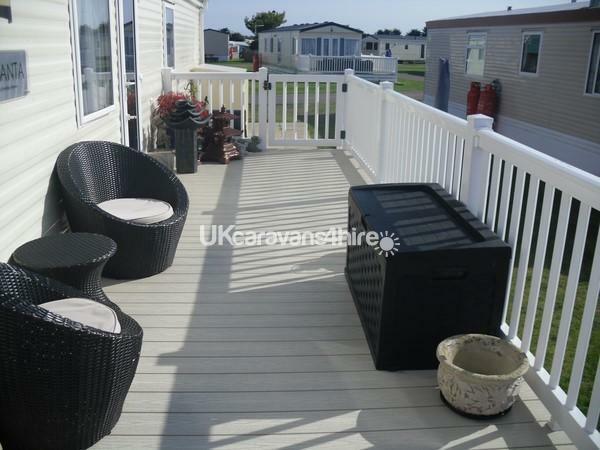 The beds are comfy, ample storage space, hot powerful showers, and the outside decking and seating is amazing. We were so lucky that we were able to eat out there every day! We had an amazing holiday, and that was down to such a wonderful caravan, thank you so much Rosemary. 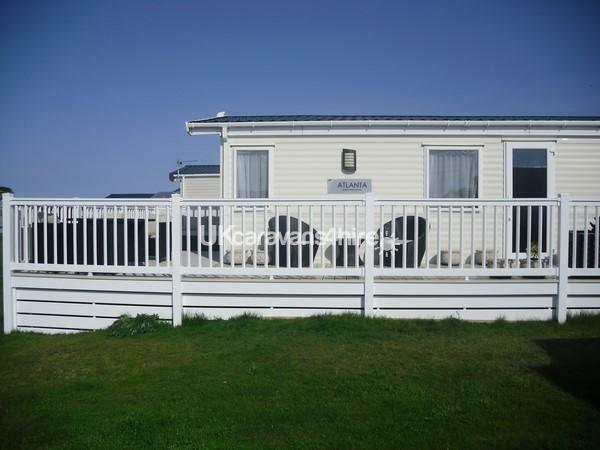 We would definitely love to stay again and would defintely recommend this caravan. Thank you Allyson for your review and recommendation. I am pleased that the whole family had an amazing holiday. As you are aware this is my first season of renting out my caravan and it is encouraging to know that my guests have enjoyed their stay. Many thanks again, Rosemary. Enjoyed a fantastic long weekend in this exceptionally comfortable caravan. It was spotless and furnished to a very high standard with lots of luxury extras provided by Rosemary. The outside space is vast with lots of comfortable seating provided. 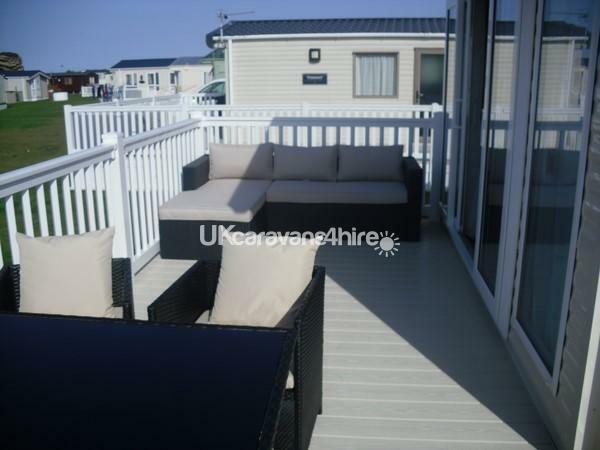 We would highly recommend this caravan and will book again in the future. We have just returned from a brilliant weekend stay at Rosemary’s caravan. We have stayed in lots of caravans over the years but never had a caravan so clean and beautiful with fabulous facilities inside and out., I could have just moved in and stayed permanently everything was perfect and so spacious. Rosemary has a flair for interior design. 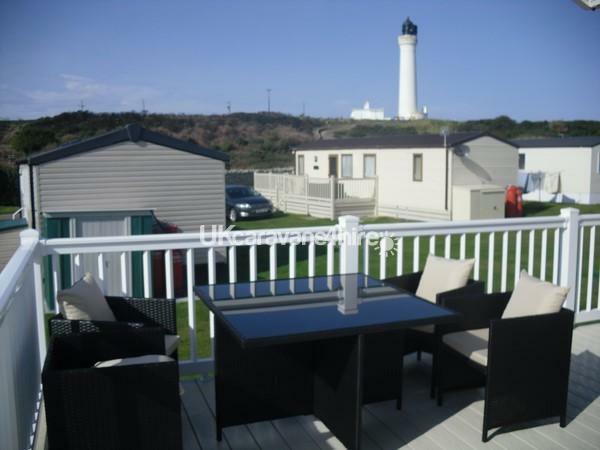 The sun shone every day so we spent most of the time on the spacious decking which is equipped with beautiful furniture, and has a lovely view of the lighthouse and is only minutes from the beach. Rosemary is a lovely thoughtful women with the kindest heart she knew that we were staying at Lossiemouth to celebrate my dads 76th birthday together with my family and left a card and present for my dad, we were so overwhelmed with her kindness. We will definitely be returning and I will recommend Rosemary’s caravan to everyone. We absoloutly loved our stay at Rosemary's caravan! It's a beautiful caravan, with a good view of the lighthouse and minutes from the beach! It was so clean on arrival, it has everything you need! The decking is fab, meaning our baby could explore outside and we knew where he was at all times! Relaxing at night outside was great with comfy outdoor furniture! 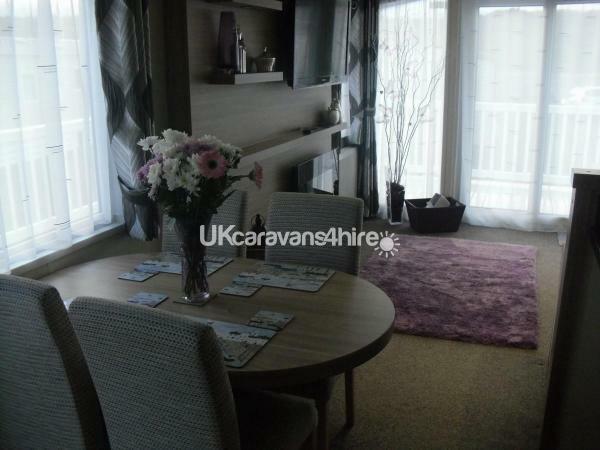 The caravan feels so homely, spacious and modern! Rosemary is very helpful and accomadating! Will definitely be back and would 100% recommend! Just had the most wonderful holiday in Rosemary’s caravan. The intention was a relaxing holiday and this ticked every single box. Rosemary’s caravan is to the highest of standards and an absolute home from home. We did not need any of the things we brought from home as Rosemary has thought of everything and more you will need. Absolute beautiful inside and out and the location itself was fantastic for beautiful views and a two minute walk to the beach and the outdoor decking had the sun all day. Rosemary is a wonderful host to deal with and her customer service from start to finish was second to none. We absolutely would recommend this caravan to anyone and we are already planning our next trip. Thanks again for a wonderful time. We had a fantastic holiday at Rosemary's caravan. It was immaculate inside and out, and very comfortable. The decking area was a bonus, my kids loved it even on the dreech days. Perfect for lounging about with a super view of the lighthouse. Rosemary was very accommodating and has decorated the caravan beautifully, with some much appreciated personal touches. The caravan is in a nice quiet area of the site close to the beach. There's lots to do in the holiday park and the beach is lovely and right beside the caravan. We would highly recommended and definitely book again, if she'll have us. We have just returned from Rosemary's fantastic caravan. It was immaculate inside and out, and so very comfortable. Super decking area for sitting out on even on a not so good day and a view of the lighthouse. The caravan is in a nice quiet area of the site close to the beach. Rosemary is charming and so easy to communicate with. We loved our stay in this caravan that much that we have booked again for August. Yes we would highly recommended.